Canada's sports betting Bill C-221 that will allow for wagering on single sporting events had its second reading in Parliament this week. Unfortunately the governing Liberal party are continuing to express opposition to its passage. The C-221 bill was introduced as a private member's Bill back in February of this year by New Democratic Party MP Brian Masse. Its passing would remove a single line for the Criminal Code that restricts provincial gambling monopolies from offering anything other than multi-game parlay sports betting. The first reading of the C 221 bill was held in April and the Liberals surprised everyone by opposing its passage. The Liberals had voted in favour of the Bill's predecessor, Bill C-290, which was approved with all party support in the House of Commons in 2012 before it stalled in the Senate and never made it any further. The C-221 sports betting Bill has just had its second reading and Liberal MP Bill Blair, Parliamentary Secretary to the Minister of Justice and Attorney General of Canada, said he "cannot and will not be supporting it." He went on to say that he recognized that the provincial monopolies and brick and mortar casinos in towns that border the US were keen on offering single event wagers, but he was worried about the "social costs of gaming." Blair didn't agree with the idea that legalizing sports betting would reduce unauthorized wagering and he argued that "the vast majority of those who place wagers with illegal bookmakers would continue to do so". 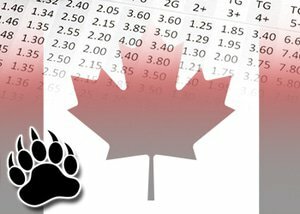 The reason being that these offshore bookmakers targeting Canadianscan offer wagering on credit as well as more favorable odds than the provincial monopolies. Blair continued by saying that Masse's stated objectives are indeed laudable but that these objectives would be accompanied by significant harm to society. Blair stated that he wouldn't recommend that the bill be sent to a committee for further study. Some of Masse's NDP colleagues spoke in favour of Canada's sports betting Bill C-221, and Masse himself accused the Liberals of giving organized crime the biggest single corporate tax cut from the government. His argument however proved unpersuasive and Parliament voted against adopting the motion. At the moment, Parliament is sitting on a provisional basis and this means that the Liberals can shut the House down at any time if they feel they have accomplished the more pressing items on their agenda. Masse who is extremely frustrated told Blackburn News that if bill C 221 isn't sent to committee, then this bill will not be able to be reintroduced for another four years and the government will at that stage have to bring it back as part of a budget bill.